This vehicle can fit in any home, it does not require fuel and a lot of space and driving is a pleasure. A monocycle is some kind of bike but with one wheel and without a handlebar. The driver sits on the seat and starts pedaling, which sets the monocycle in motion. 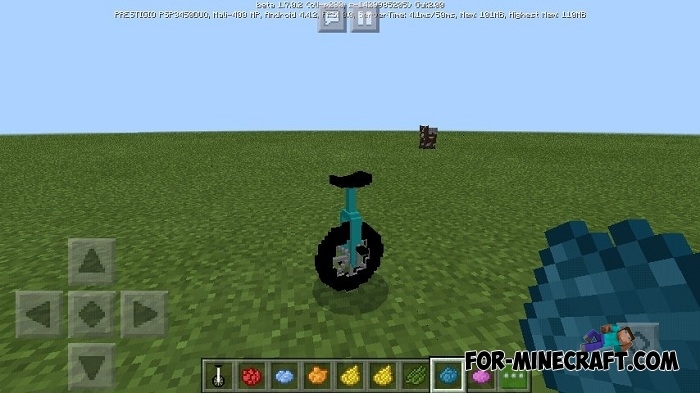 In order not to get bored, the addon adds the ability to dye the monocycle into one of the 16 colors, thus allowing you to have 16 different vehicles or playing with your friends. 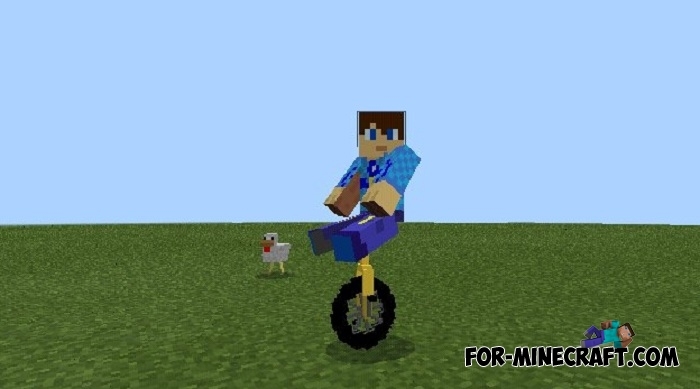 How to get this monocycle? Remember where sheeps usually spawn and go to those places. Traditionally, these are lawns, clearings, a place near forests. There you will see one or several monocycles ready for driving. 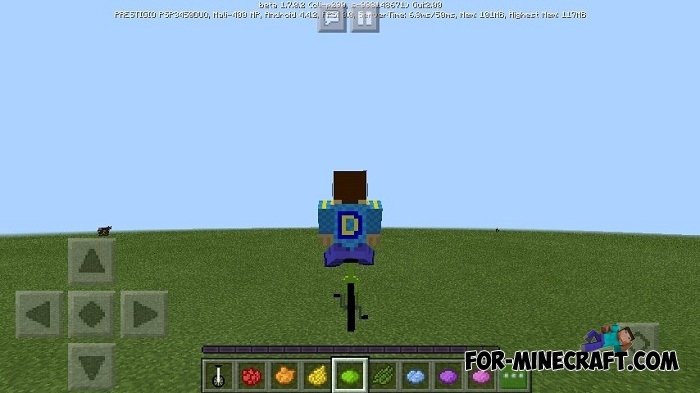 If you play creative then open the inventory and find the monocycle icon. Dyeing is done by the same method as dyeing of sheep. While driving your vehicle will sound, keep in mind. How to install the Monocycle addon?